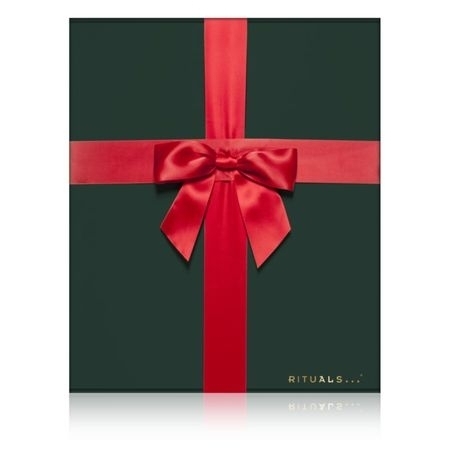 Het Kerstgeschenk van Rituals! 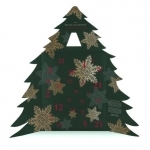 De adventskalender zit bomvol leuke Rituals producten. Inhoud adventskalender: 1 X Miracle Wipes - Travel, 1 X The Ritual of Sakura Shower Scrub 70ml, 1 X The Ritual of Sakura Body Cream 70ml, 1 X The Ritual of Dao Night Balm, 1 X The Ritual of Dao Bed & Body Mist 20ml, 1 X The Ritual of Ayurveda Hand Lotion, 1 X The Ritual of Hammam Foaming Shower Gel 50ml, 1 X The Ritual of Hammam Hot Scrub 125g, 1 X The Ritual of Hammam Black Soap 70ml, 1 X The Ritual of Dao Relaxing Serum, 1 X The Ritual of Ayurveda Foaming Shower Gel 50ml, 1 X Samurai Cool Down 70ml, 1 X Scrub Glove, 1 X Mini mascara- 3-in-1 miracle, 4 X The Ritual of Anahata Mini Candle, 1 X Magnesium Bath Crystal Sachet, 1 X The Ritual of Anahata Foaming Shower Gel 50ml, 1 X The Ritual of Dao Shower Oil 20ml.